LISA Wilkinson asked for $300,000 more than Karl Stefanovic's base pay and her multimillion-dollar demands would have caused 10 of her Channel Nine colleagues to be sacked, new reports suggest, as the fallout from her defection to Channel 10 turns nasty. 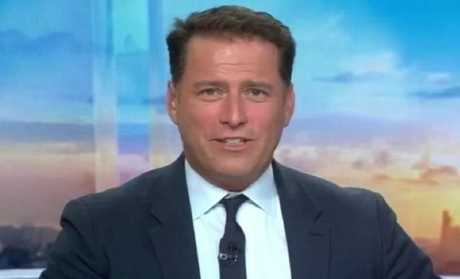 The former Today show host abruptly quit the network on Monday, with Nine saying it had "been unable to meet expectations of Lisa Wilkinson and her manager on a contract renewal". The network's chief executive officer, Hugh Marks, hit out at Wilkinson in The Daily Telegraph today, saying that Wilkinson was offered a $1.8 million package, but wanted $2.3 million. "I went to an incredible amount of trouble to build that [$1.8 million] package for her. She wanted $2.3 million. It wasn't a $200,000 shortfall to [Karl's] $2 million magic number. It was $500,000," he told the Telegraph. A senior network source told Fairfax that meeting Wilkinson's pay demands would have led to job cuts elsewhere. "If she got what she wanted we would have had to cut 10 producers' jobs … that is the reality," the insider said. Today show host Karl Stefanovic, the day after his co-host Lisa Wilkinson departed Channel 9. During Wilkinson's six-month contract negotiations, she told Mr Marks "I want you guys to close the gender pay gap", The Australian reports. 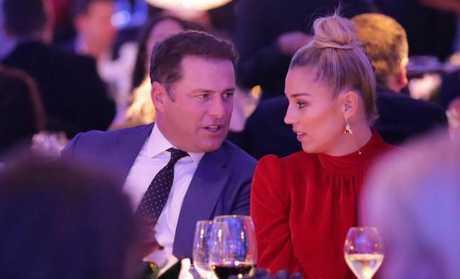 The newspaper also reported that she pushed harder in the negotiations when she saw research that showed she was more popular than Stefanovic after his high-profile divorce and new romance with Jasmine Yarbrough, who is 10 years his junior. Mr Marks told the Telegraph that, unlike Stefanovic, Wilkinson had "multiple commercial contracts" that meant the network could not use her personality across all of its platforms and social media. For example, Wilkinson has a reported six-figure deal to write exclusively for the Australian arm of The Huffington Post, a direct rival to nine.com.au. "I hate the fact we have to compare her with Karl but with him we have all those rights. With Lisa we do not," Mr Marks said. It is important to note that Stefanovic has other duties at the network, including hosting the high-rating This Time Next Year and occasional reporting on current affairs flagship 60 Minutes. The final straw for Nine appeared to be a story in last weekend's Sunday Telegraph, which dished on the stalled pay talks between Wilkinson and the network and referred to her as the "most loved yet undervalued personality currently on mainstream commercial television in this country". A source told The Australian that Nine "took the offer off the table" the day after the story appeared. Wilkinson is believed to have accepted more than $2 million to defect to Channel 10, where she will take on a hosting role on The Project and The Sunday Project from January. That figure likely dwarfs the pay packet of her soon-to-be colleague Carrie Bickmore. After she made her announcement on Monday, Wilkinson's husband Peter FitzSimons tweeted: "That's my missus. Got a new job in 45 minutes!" But reports suggest that the Ten deal may have been on the table for at least a month because negotiations between Nine and Wilkinson broke down months ago. The Project publicly welcomed their new co-host on air last night. "Nine's loss is our gain here at Network Ten," Bickmore said. "An incredible woman - smart, funny, down to earth. We couldn't be more excited." 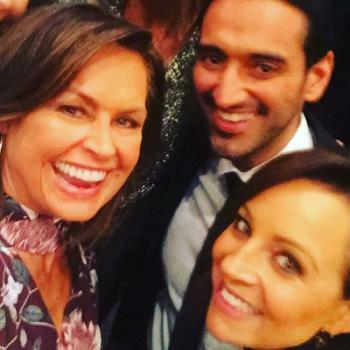 Waleed Aly added with a laugh: "I have always really loved Lisa and it is nice to be able to contractually say it now." Despite the media argy-bargy, politicians say Wilkinson's shock move has struck a blow against gender pay gaps. "Good on you for following your principles," Opposition leader Bill Shorten said on Tuesday. "There are millions of Australian women who would have taken a small measure of comfort from your actions." 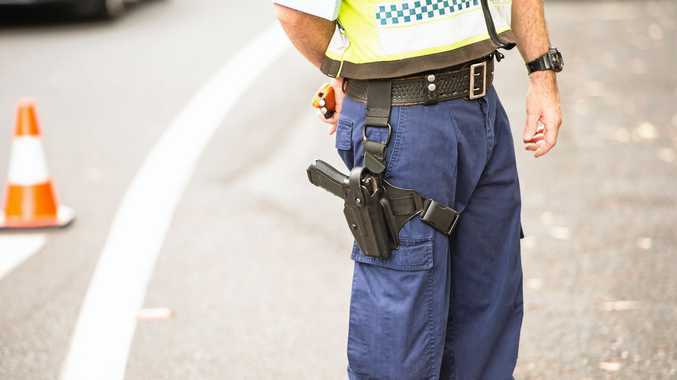 NSW Premier Gladys Berejiklian said Wilkinson had sent a strong message. "That would be akin to me getting a pay cut because my predecessors weren't female, so I completely appreciate her position if that's the reason and I congratulate her for taking that stance," she said. ‘Network wars’: Was this Lisa’s Project warning?